In a standing mixing bowl with dough hook, disolve yeast in warm (not hot) water. 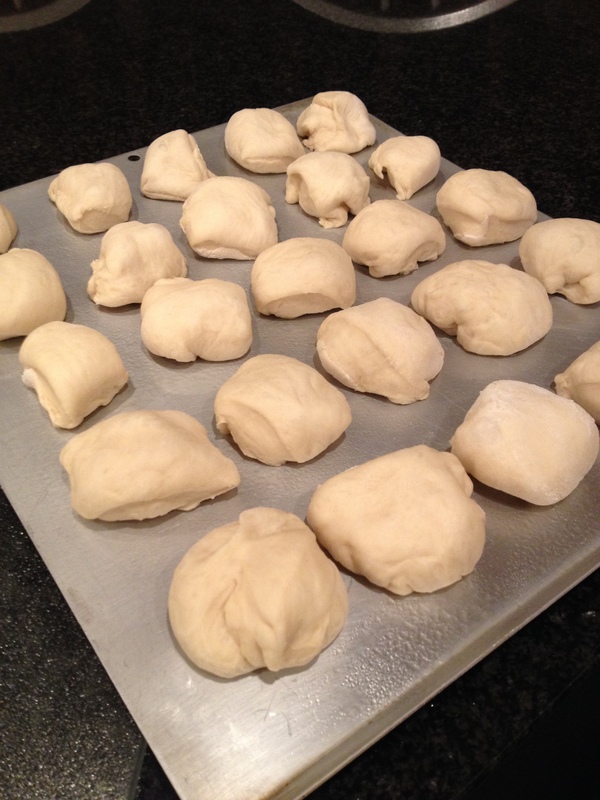 Let sit until lightly foamy, then gently stir in softened butter, egg, 1 cup of bread flour, sugar, and salt. 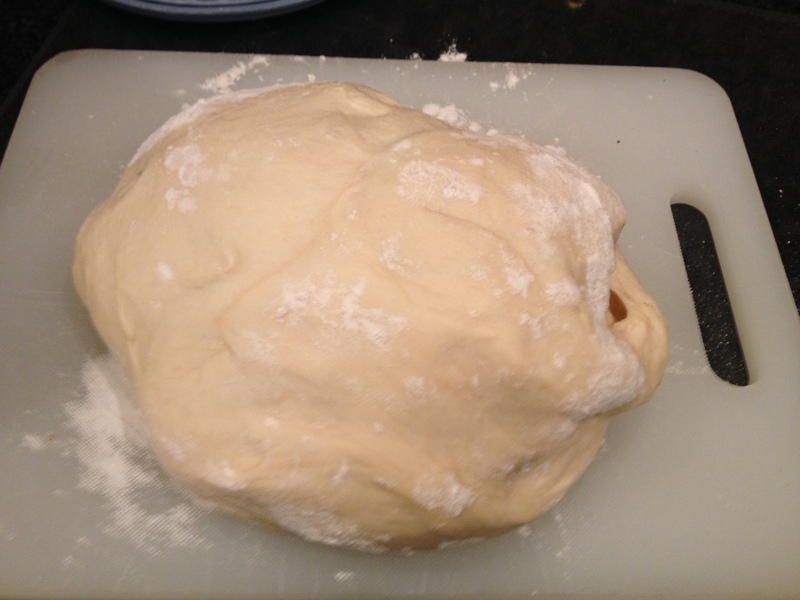 Continue adding flour, stirring slowly, until dough is elastic.. Remove dough from bowl, using lightly floured hand. Place on floured surface, cover with a towel, and let rest for about 20 minutes.. Grease large cookie sheet, divide dough into equal size pieces (this batch turned out to be 25 rolls). Gently shape into a ball. Do not smash the dough into balls! Cover and let rise in a warm place, until doubled in size, about 40 minutes. Heat oven to 375. Bake 12-15 minutes or until golden brown. 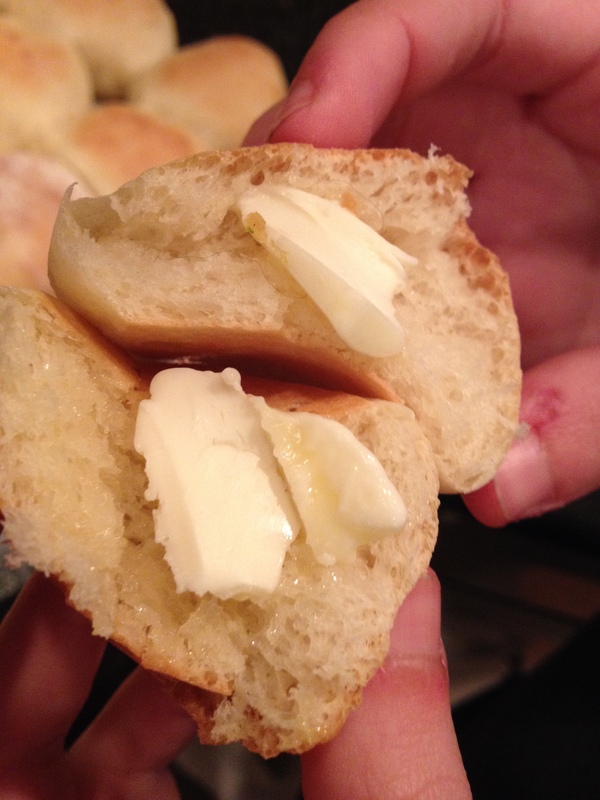 If desired, brush tops with melted butter. Serve warm or cool on wire rack. 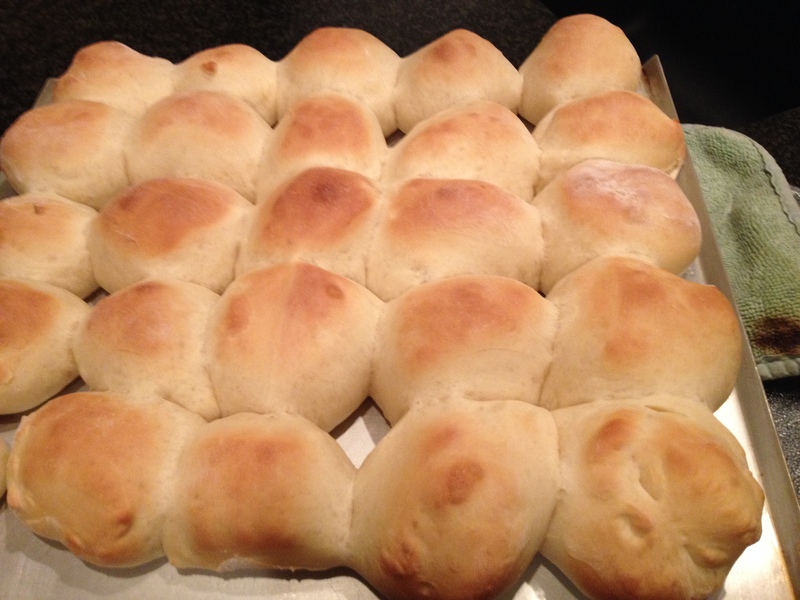 If you like rolls that are golden brown on top but have soft sides (like me!) 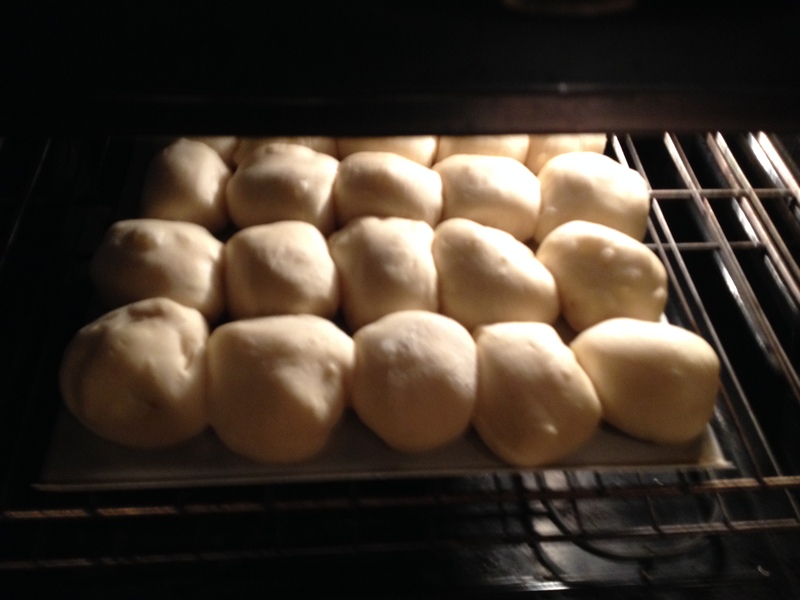 place the rolls close together on the cookie sheet so they will rise and bake together. 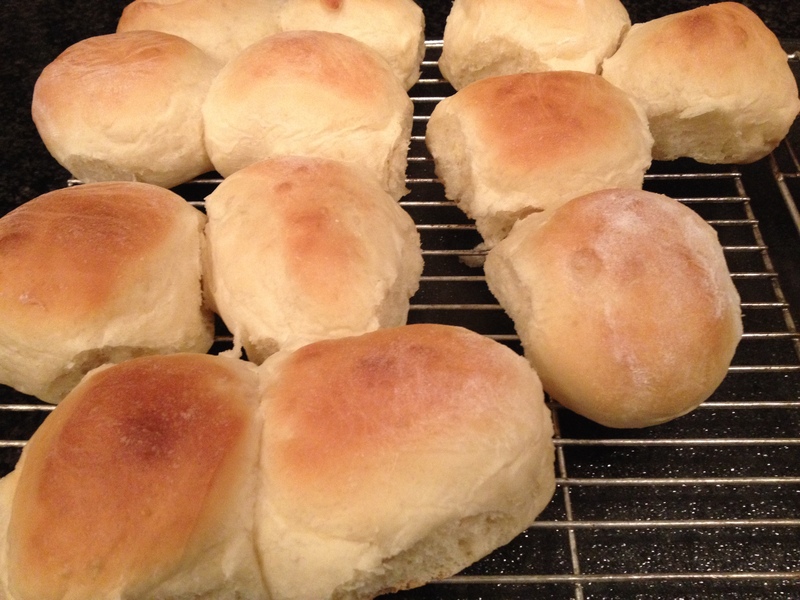 If you prefer golden brown on tops and sides, then place the rolls far enough apart they will rise without touching the next one! 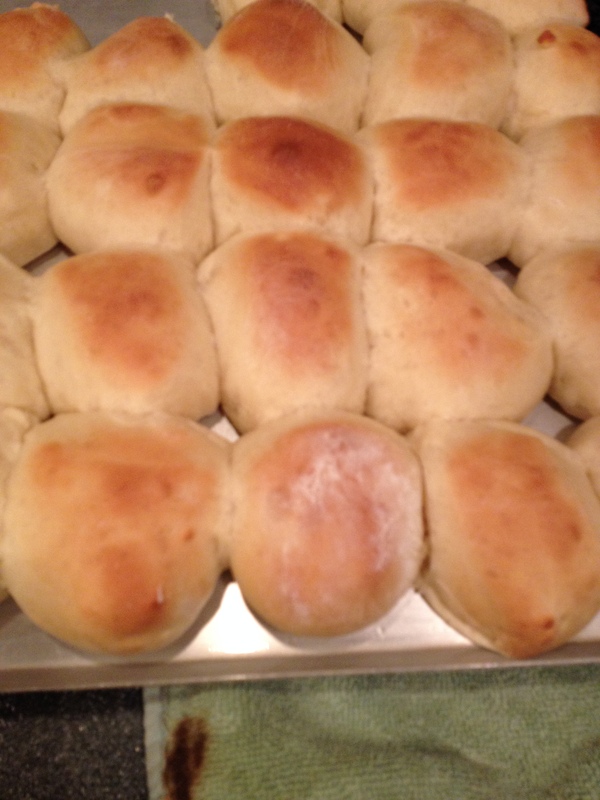 This entry was posted in Breads/Muffins and tagged bread flour, dinner rolls, eggs, salt, soft rolls, sugar, Yeast. Bookmark the permalink.